It’s thrilling to hear an unexpected sound. Chinese multi-instrumentalist Wang Li specializes in huffing and puffing far-out overtone magic at his audience with various jaw harps and the calabash flute. I was fortunate to see him twice this past week in two seemingly contradictory settings–first mistaking him for a throat singer at the Kennedy Center’s Millennium concert series and then seeking him out at the Richmond Folk Festival. In both cases, Wang blew the minds (and eardrums) of millions. 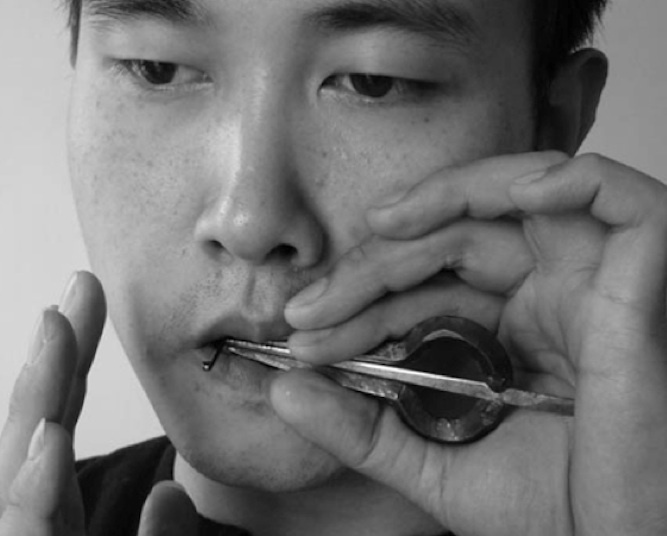 Traditional chinese jaw harp, kouxian. Wang’s music is a reflection of his childhood spent on the coast in Northeastern China. Many of his compositions imitate nature like the natural techniques in the Khoomei singing tradition from Tuva. And while his pieces are often aggressive and forward, his banter is just the opposite: humble, awkward and reserved. 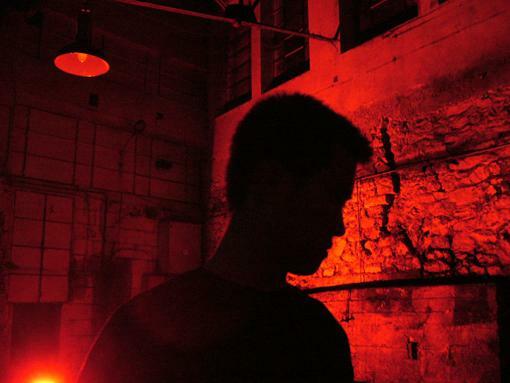 The best part of Wang’s music is that it is generally improvised over a basic structure. At the second performance, I recognized the way I’d felt when I first heard him, but with a different sent of patterns and rhythms. Music that is visceral yet alien is the best way I can describe Wang’s music in words. Listen to the stream of his Kennedy Center performance or watch his Mog-like improvisations on the kouxian, the Chinese jaw harp. This entry was posted in Issues, Shows and tagged acoustic ecology, jaws harp. Bookmark the permalink.